Systemic sclerosis (SSc) is an autoimmune, connective tissue disease of unknown etiology characterized by immune system dysregulation and excessive extracellular matrix (ECM) synthesis [1, 2]. Clinical classification of SSc includes limited cutaneous (lc)SSc and diffuse cutaneous (dc)SSc forms . Both variants manifest with cutaneous fibrosis, but dcSSc results in significant morbidity and mortality [3–5]. One study has shown that an increased skin score is related to increased pain and quality of life impairment . Typically, patients with dcSSc have higher skin scores, due to more extensive skin involvement, compared to patients with lcSSc. Currently, there is no clinically available therapy for effectively reducing excessive ECM production in SSc. The increased skin thickness measured by the mRSS in SSc patients is in part due to increased synthesis and deposition of ECM components (i.e., collagen and fibronectin) by fibroblasts . Fibroblasts isolated from the skin and lung of SSc patients are activated to produce more ECM than corresponding fibroblasts from healthy individuals [19–21]. Studies show that dermal skin thickness and collagen content increase in women on hormone replacement therapy (HRT), which is typically estrogen based, compared to females not taking HRT [22–27]. Together, these findings suggest a role for E2 in dermal fibrosis and in the pathogenesis of SSc. 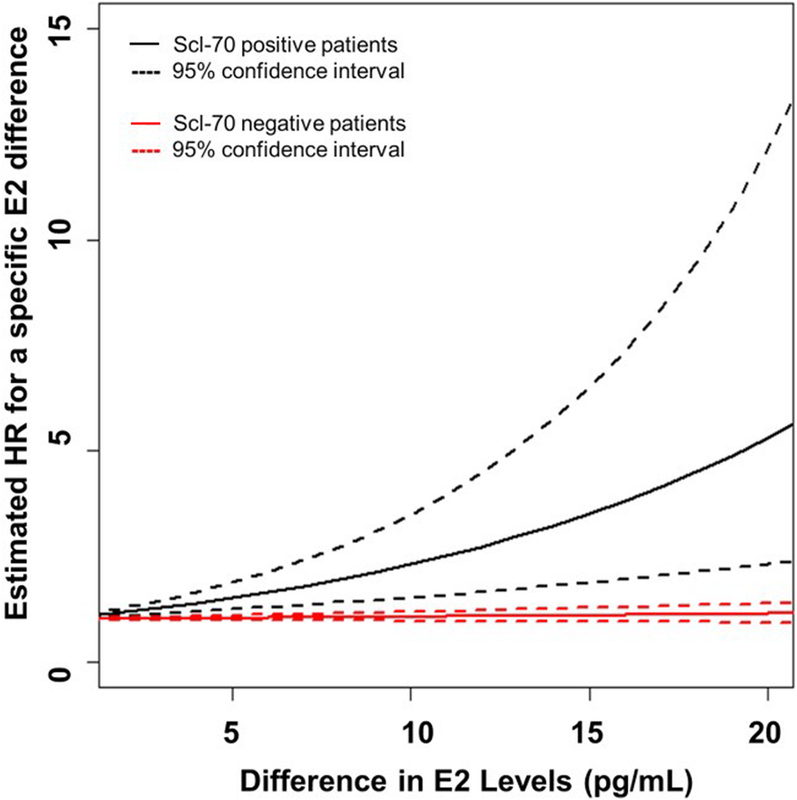 We found increased serum E2 levels were associated with decreased survival in our cohort and this association was found to be exaggerated by Scl-70 antibody status with Scl-70-positive patients showing increased risk of death with increasing E2 levels. Although the patients’ cause of death was not evaluated in this study, older age and dcSSc are uniformly accepted risk factors for death in SSc cohorts . Comorbid conditions also contribute to reduced survival in elderly patients. Heart involvement due to SSc is well recognized to be associated with poor survival [33–35]. Cardiac SSc is also associated with increased mortality in childhood-onset disease , and the presence of Scl-70 is associated with decreased survival in adults . 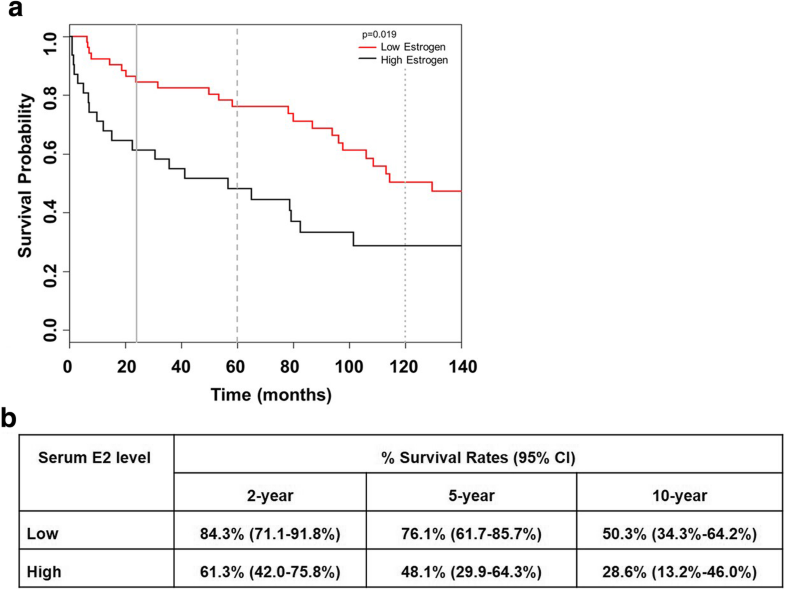 Both cardiac involvement and Scl-70 antibody were present in our adult cohort. We found cardiac involvement was also associated with increased serum E2 levels, which may have contributed to the decreased survival. The mean percent increase in skin thickness progression rate was higher in those with increasing serum E2 levels as well. Rapid skin thickness progression rate (> 45) is an independent risk factor for increased mortality and developed severe cardiac disease . 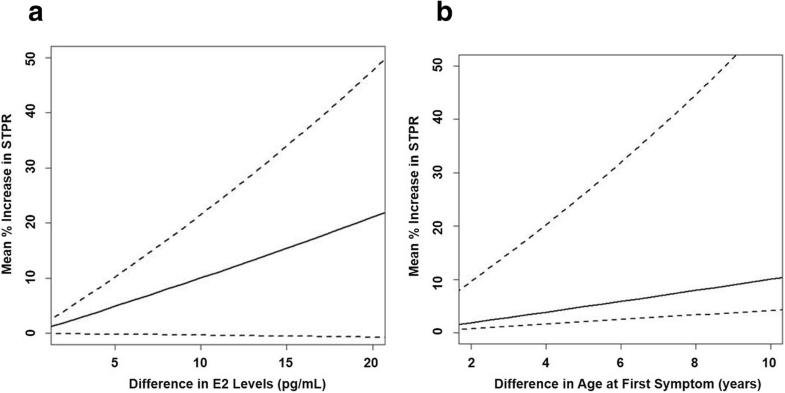 Therefore, it is possible that increased aromatization of testosterone to estrogen in older patients  could contribute to disease severity and increased risk of death.